Ullswater is regarded by many as the most beautiful lake in England and is one of the most picturesque places to visit in the Lake District National Park. 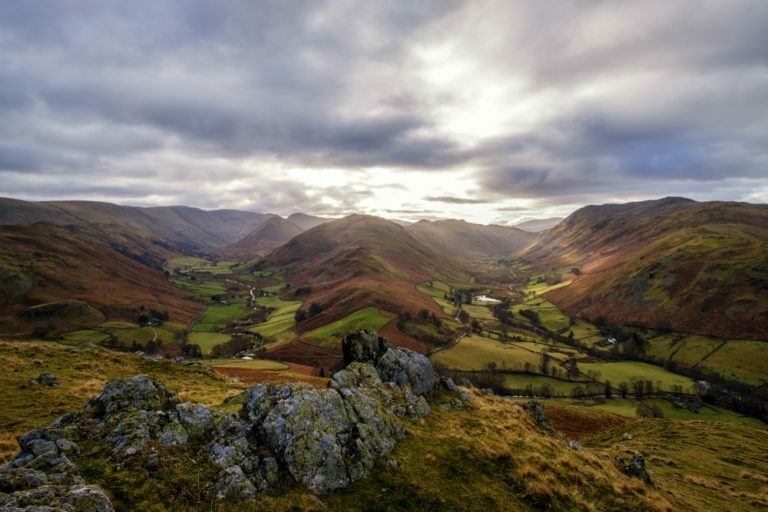 The surrounding mountains add to the beauty of the area with dramatic views of the Helvellyn and High Street ranges running either side of Ullswater. 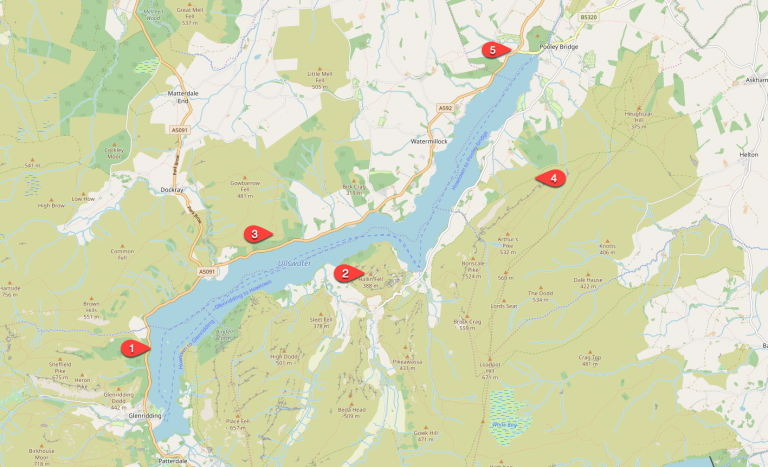 Mossdale Bay is just a short walk from Glenridding along the Ullswater Way. 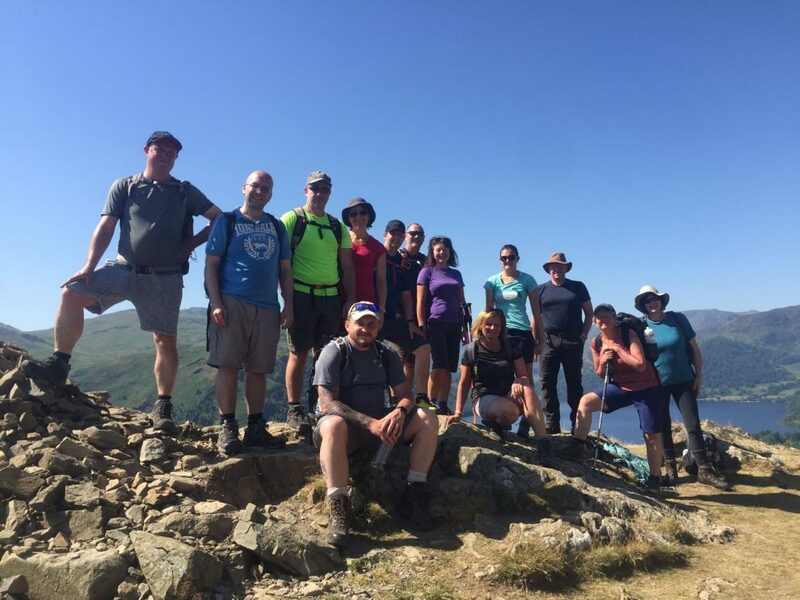 A great view point to soak up the Ullswater scenery with stunning views across Ullswater, Place Fell and across to the Far Eastern Fells of Hartsop Dodd, Brock Crags and the surrounding High Street summits. Certainly worth a visit next time you visit Glenridding. Although one of the smallest, Hallin Fell packs a mighty punch when it comes to views, and also one of the easiest summits to climb too. 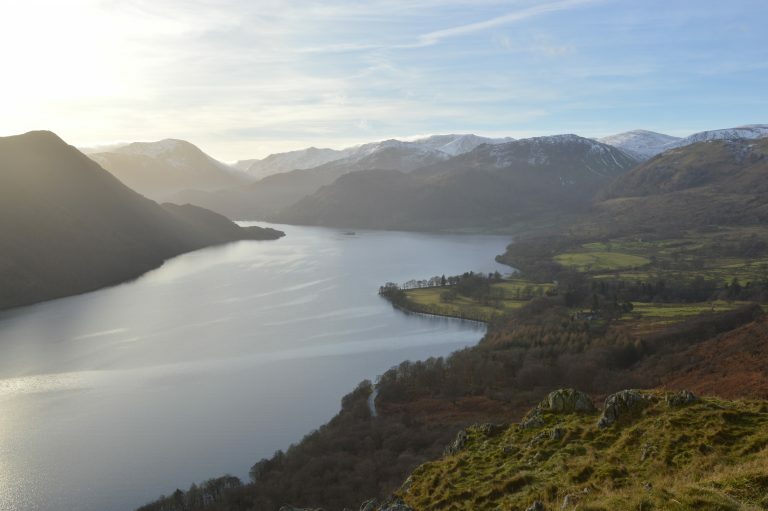 Situated on the east shore of Ullswater, and part of the Far Eastern Fells, the 388m summit can be reached easily from the hamlet of Howtown which is three miles from Pooley Bridge. The Ullswater Steamers regularly stop at Howtown or for a longer day you can walk to Hallin Fell from either Glenridding, Patterdale or Pooley Bridge via the Ullswater Way. The route is very easy to follow and starts from the south side of the fell just off the steep, narrow road from Howtown to Martindale. The path is obvious and shouldn’t take you more than 30-minutes to reach the summit and the large Obelisk. 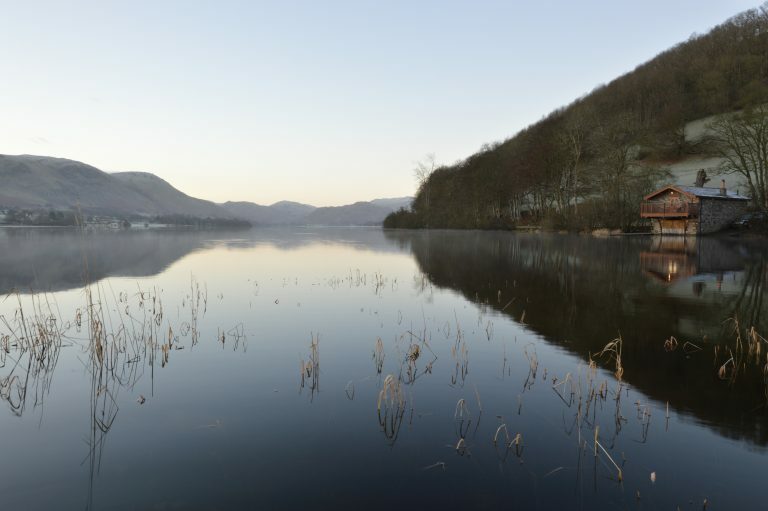 Surrounded on three sides by Ullswater, the views across the lake are stunning. 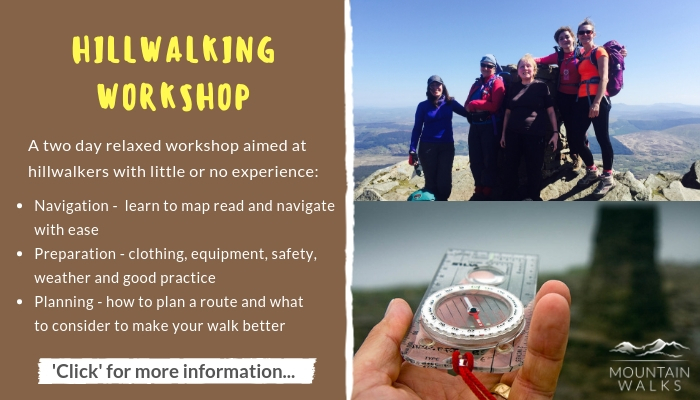 If mountain scenery is your thing then you will be able to pick out the bigger mountains of Blencathra, Helvellyn and High Street. However, the real star of the show is the view across Martindale Common over Beda Fell, Steel Knotts, The Nab and the connecting peaks of the High Street range. 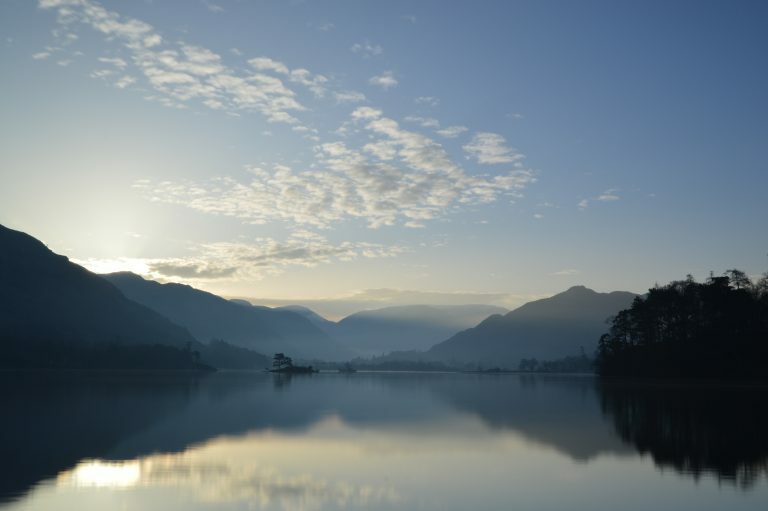 One of the most photographed sunrise views in the Lake District and you will certainly see why. What a view! Possibly one of the finest views in the Lake District. If you only have time to visit one view point then make sure it’s this one. This is Ullswater at its very best. The Memorial Seat can be reached from Aira Force. 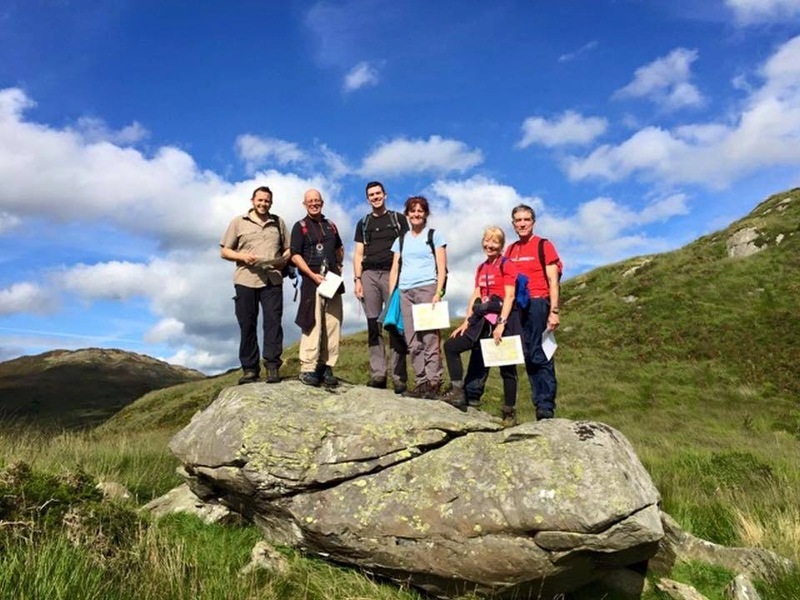 The walk only takes around 45 minutes unless you opt to do a full circuit of Gowbarrow Fell. The path leaves Aira Force and gradually ascends the southern side of Gowbarow Fell above Yew Crag. 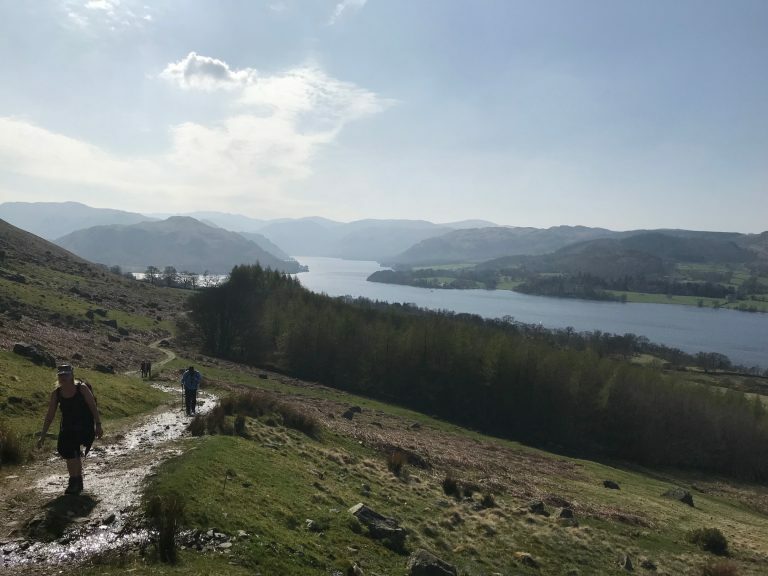 At around 300m the view across Ullswater and over to the Helvellyn range is magnificent as is the view across the whole High Street range of fells and back towards Pooley Bridge. A fantastic walk for the kids too and it just proves that sometimes the little walks to offer the biggest views. Located on the Ullswater Way high-level route between the Cockpit Stone Circle and Howtown, the Wainwright Memorial Seat commands a stunning view across Ullswater and the surrounding fells. The best way to experience this view is to walk from Pooley Bridge towards Barton and Askham Fell. Once you reach the Cockpit Stone Circle follow the Ullswater Way down towards Howtown with Ullswater as a backdrop. After a few minutes of leaving Barton Fell you will see the Wainwright Seat where you can take a break and enjoy this magnificent view over Ullswater. The Duke of Portland Boathouse now is a popular honeymoon retreat and you can see why. 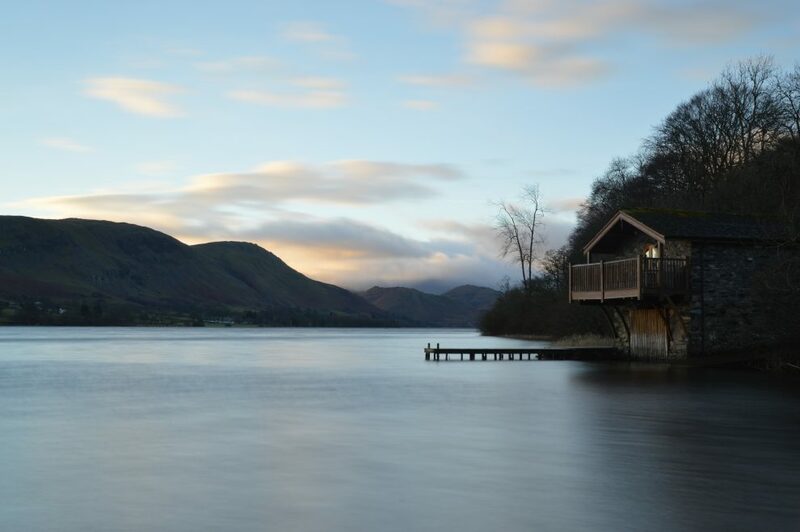 Located at the very Northern end of Ullswater, a few hundred metres from Pooley Bridge, the Boathouse is often what visitors see when they travel to Ullswater for the first time. The Boathouse is possibly the most photographed view in the Lake District. It is difficult to get close to the Boathouse due to the main road, so take the Ullswater Way path on Dunmallard Hill which also overlooks the Ullswater Steamers landing stage. If time allows head back through Pooley Bridge and explore Gale Bay which can be seen across the water from the boat house. A popular area with more great views across Ullswater and over to Helvellyn.